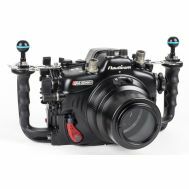 Nauticam sets new standards for underwater image quality with their new NA-H4D underwater housing for Hasselblad H4D/H3D systems. Sensors used in H System backs are approximately twice the size possible with 35 mm digital SLRs, featuring more pixels than 35 mm digital systems and providing better resolution and clarity. The pixels in H System backs are also larger, which means less noise in your images and better dynamic range with clearly improved detail. Hasselblad digital backs on H cameras also allow the exploitation of powerful features such as IAA (Instant Approval Architecture), DAC (Digital color aberration and distortion correction), HB RGB and 3F RAW for unique natural color solution, lifting the combination above and beyond the norm and well into the leading position of medium format digital photography. The H System's central lens shutter allows flash sync at all shutter speeds, enabling use of flash in all lighting conditions. H cameras’ contemporary design and intuitive operation provide simple and convenient handling and the programmable interface allows you to customize the camera according to your particular desires or working styles. 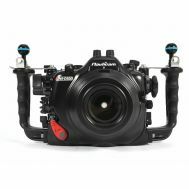 The H system lens line, with its unmatched optics, central lens shutters, and integrated communication with the camera. Hasselblad True Focus, for perfect focus when recomposing at open apertures. Customizable features including a range of user buttons and complete camera setup at the touch of the profile button. 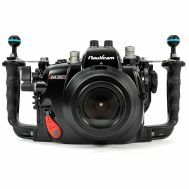 Multi-Shot, offering non-interpolated colors and ultra-high resolution, unmatched customization and system flexibility. 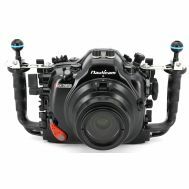 The NA-H4D housing allows convenient access to all functions of the camera, maximizing the exploitation of this superior system underwater and making sure that all important moments are captured without hassle. 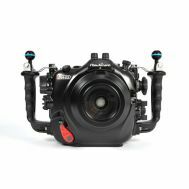 The housing is also extremely well balanced; its thoughtfully designed profile means that when the camera is placed within, the system is almost buoyant underwater. Both front and rear control wheels are within easy reach by the right thumb and middle finger; with the extra large knobs, settings can be adjusted effortlessly. 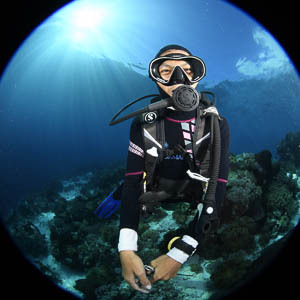 Shutter release is activated via a lever, by the right index finger; the 2-stage lever mechanism is designed to increase the tactility by improving the feedback from the camera’s shutter button, hence eliminating accidental release while focusing. Moreover, the lever located close to the right handle can be customized to reach either the AEL or the true focus functions of the camera; while a circular multi-directional pad, within comfortable reach by the left thumb allows smooth and swift photo browsing and navigation through the menu.